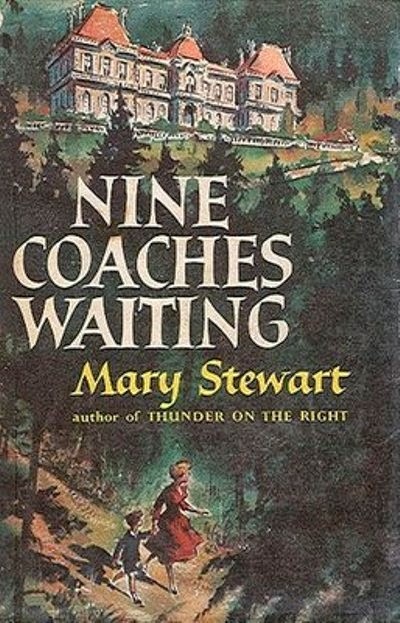 Our scheduled author was not able to make it here today, so let's take this opportunity to celebrate the career of a woman they called the pioneer of Romantic Suspense, Mary Stewart. 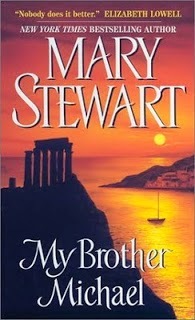 To quote her biography, "Mary Stewart's legacy as an author is vast. She is considered by many to be the mother of the modern romantic suspense novel. She was among the first to integrate mystery and love story, seamlessly blending the two elements in such a way that each strengthens the other. Pamela Regis writes, "Stewart's influence extends to every writer of romantic suspense, for Stewart understood and perfected this hybrid of romance and mystery and used it as a structure for books so beautifully written that they have endured to become part of the canon of the twentieth-century romance novel." Popular authors continue to list her books among their favorites and cite her as influential to their own work. And even thirty years after publication, her books continue to be reprinted again and again." Ever one to go with what was in her heart, Mary said, "The publishers didn't want me to write The Crystal Cave in the first place, because they were doing so well with the earlier books. Publishers never want you to change; if one horse is doing well, they don't want you to change horses. I've written stories since I was three and a half, and I think you're either born with the storyteller's flair or you're not. You can learn much about the craft of writing, but you either have the storyteller's flair or you don't. It's no virtue of mine. It's just there." 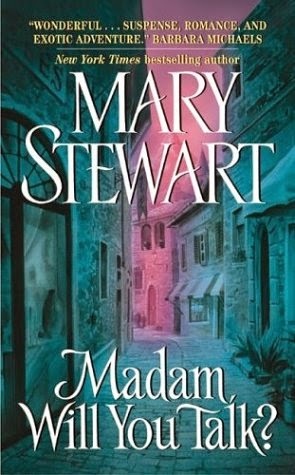 Mary Stewart was the author I used the flashlight in bed trick at night. Back in those days I didn't understand that there was a term for what I was reading (Romantic Suspense). I just knew it made my toes curl, and that I couldn't get through the pages fast enough. I'll leave you with a quote from Madame Will You Talk. Loved her books. Such an inspiration! I didn't realize she had died. I LOVED her books. She was a flashlight under the covers read for me, too, and also made me long to go to Greece! She was my favorite author since early teens. I read and re-read those mystery/romances and dreamed of going to the bridge at Avignon, hiking the Scottish coast in the fog, the quiet hillsides of the island of Crete, the light over the ruins at Delphi, seeing the white stallions in Vienna, all the wonderful places and adventures. In time, I did visit some of these and thought back to the images evoked by her wonderful writing. I am so glad her writing was a part of my life.